I know I know, you’re dreaming of a magical Christmas in the snow - of the kind that they’re always showing in the movies, right? And what better place is there than Norway with its snow-covered mountains and dancing Northern Lights? Well, if you’d honestly ask me, I would give you a list of places I find suitable for a Christmas vacation that wouldn’t include Norway (or any of the Nordic countries for that matter), but I really don’t want to ruin your Christmas spirit. Yes, Norway can be the magical winter wonderland you’re looking for - however, it highly depends on where you’re planning to go exactly! In this post, I’m therefore highlighting everything you should consider before booking that Christmas/New Year’s Eve trip to Norway! Contrary to common belief, not all of Norway is a magical winter wonderland in December. The country is situated at the Gulf Stream, which means that all areas at the west coast typically have a relatively warm climate considering its northern latitude. The fjords of Western Norway don’t freeze over in winter and December is normally just another rainy winter month in cities like Bergen and Stavanger - meaning, that there isn’t a lot of snow (if any) around! It’s not just Western Norway that experiences mild temperatures and rain in December, though. The weather is very variable in Northern Norway at this time as well. While I have experienced 1 meter of snow in Tromsø by Halloween during the 3 years I’ve lived in the city, I’ve also experienced mild and rainy Decembers with no snow at all. 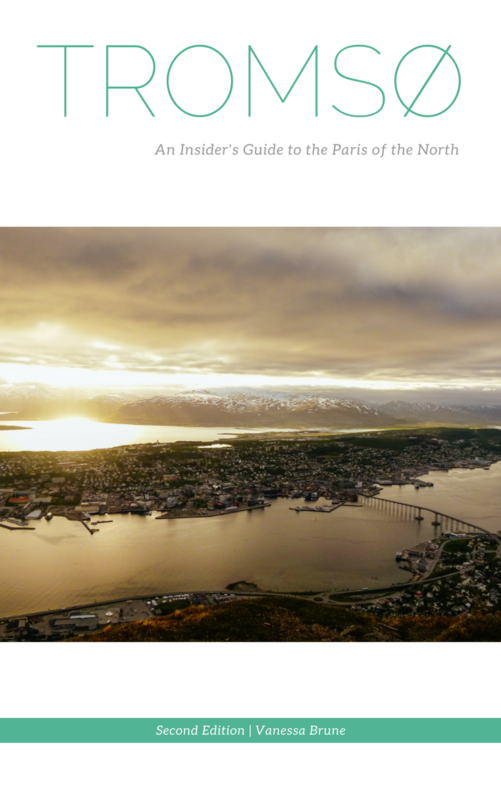 Generally speaking, though, early winter (November/December) is known for a lot of precipitation in Northern Norway/Tromsø - whether that’d be rain or snow - which can greatly diminish your chances of seeing the Northern Lights! Read more about the season of polar night in Tromsø here! Speaking of polar night, while 3 hours of dim twilight is a phenomenon you’ll only experience above the Arctic Circle during Christmas, the rest of the country will only have between 4 1/2 and 6 1/2 hours of daylight at this time, which makes sightseeing a bit difficult. Long story short: Even if the lack of daylight doesn’t bother you, you can’t be certain that all of Norway will be a winter wonderland by Christmas or New Year’s Eve, but luckily, there are a few places that pretty much have a snow guarantee - maybe just not where you think! Keep reading to find out where you should go for snow at Christmas! When thinking of Christmas markets, Norway probably isn’t the first country that you’d think about, is it? If you’ve ever been to a German Christmas market, you’ll might be disappointed by the markets that you can find in Norway. Don’t get me wrong - there are magical Christmas markets in Norway but again, probably not in places you’ve been thinking about visiting - or in places you’ve never heard of. Tromsø, for example, doesn’t have what I’d call a proper Christmas market. On weekends in December, there’s a farmer’s market on the market square where you can buy all kinds of Christmassy souvenirs and delicacies but if you ask me, it doesn’t differ much from the market that you can find there during weekdays year-round. Generally speaking, you can find lots of weekend Christmas markets (and gingerbread village displays) in Norway that are indoors - hosted by local trade organizations in gym halls, for example. However, the traditional markets that are hosted outdoors in charming surroundings which last longer than just a day, are quite few. Also, Norwegian Christmas markets generally close very early - at 6 or 8PM, and are thus more family-friendly than the markets you might have attended elsewhere. That doesn’t mean that Norway doesn’t have nice Christmas markets at all, though! Keep reading to find a list of really magical Christmas markets below! December 25th and 26th are bank holidays in Norway, which means that everything shuts down. All shops are closed on these days and, as Norwegians celebrate Christmas a day earlier than what you might be used to, everything already closes by 4 PM on December 24th as well. New Year’s Eve is not a public holiday, but similar to December 24th, shops close early and are closed all day on January 1st. The same goes for restaurants, although many restaurants even choose to stay closed for the entire period between Christmas and New Year’s Eve. This is definitely something you need to keep in mind when booking accommodation without kitchen access for your holiday visit! Most tourist attractions and museums are also either entirely closed for Christmas and New Year’s Eve, or have limited opening hours and times, for example only open on Dec 26th. Make sure to check out the website of the respective sight you’re interested in visiting, before setting up your itinerary! There are also limitations on public transport. Depending on whether you spend Christmas somewhere rural or in a big city, busses either stop running completely or only go a limited amount of times on Dec 25th, Dec 26th and Jan 1st. In Tromsø, city busses don’t run at all on Dec 24th, 25th, 26th, 31st and Jan 1st. In Stavanger, bus transport is reduced from ca. 4 departures an hour to ca. 2 an hour, depending on the route. No snow, no magical Christmas markets and everything is closed anyway - should you even visit Norway for Christmas or New Year’s Eve at all? As I said, I don’t want to crush your dreams as there are certain places that are well suited for a Christmas/NYE vacation, but no place really has it all. When visiting Norway during Christmas, it’s really important for you to plan ahead and prepare what you’d like to do/see on the days where everything is closed. If you just want to relax and go for a walk on Christmas Day, fine! If you’d like to use your Christmas vacation to see all the sights, visit all the museums and go on all the tours, though, you might be better off visiting Norway during the summer. Bergen has something that’s even better than a Christmas market (though, they have that too): the gingerbread village! The world’s biggest gingerbread village might I add! Entrance is 100 NOK and the village is open from Nov 17th to Dec 31st (2018), every day except for Dec 25th. Have you heard of Egersund before? This small town just south of Stavanger has the one Christmas market I’ve personally visited in Norway, that comes closest to what you’d find in Germany. The entire town centre basically functions as the “Christmas town Egersund” and you can find everything from food and drinks (definitely try the local chocolate!) to authentic Norwegian handicraft here. There are also concerts and even a Santa Claus parade at the end of the day! Entrance and the shuttle bus from the train station to the market are free. The market is open from Thursday to Sunday, Dec 6th to Dec 9th, 2018, as well as Dec 13th to Dec 16th. 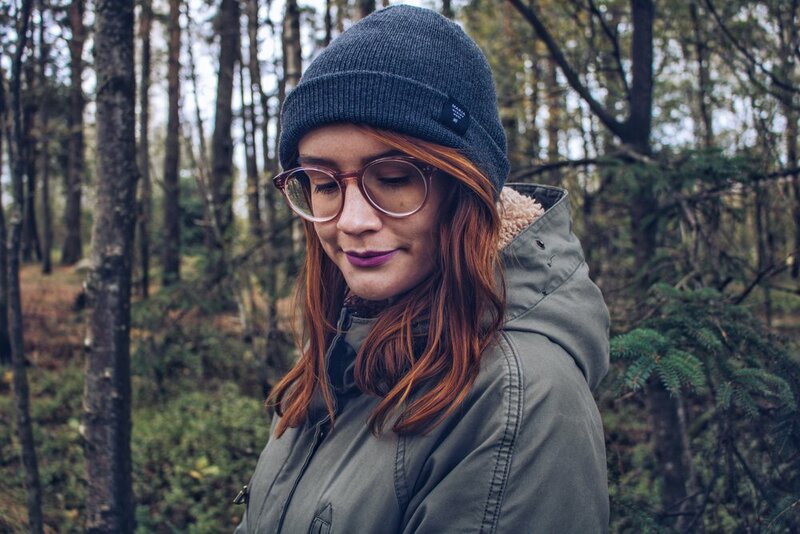 Here’s more info on Julebyen Egersund! Then again, Stavanger also has its own, smaller than the one in Bergen but not less charming, gingerbread village, but more importantly, the most magical Christmas lights I’ve ever seen in any city its size. Not only the cute alleyways of the old town are magically lit up, the “colour street” Øvre Holmegate is entirely covered in colours at this time of year! So, while I wouldn’t necessarily recommend you to spend Christmas here per se, the city is well worth to check out for a day or two - in addition to visiting Egersund! Plus, there’s a Christmas market with local handicraft in the old town on Dec 2nd, 2018! Read more about Stavanger at Christmas here! Trondheim has a Christmas market on its market square which will probably keep you busy for at least half a day, but the highlight of visiting Trondheim for Christmas is probably the Christmas market in the small town of Røros, just south of Trondheim in the mountains. A former mining town turned into UNESCO world heritage site, this charming (and snowy!) town is the definition of a winter wonderland! 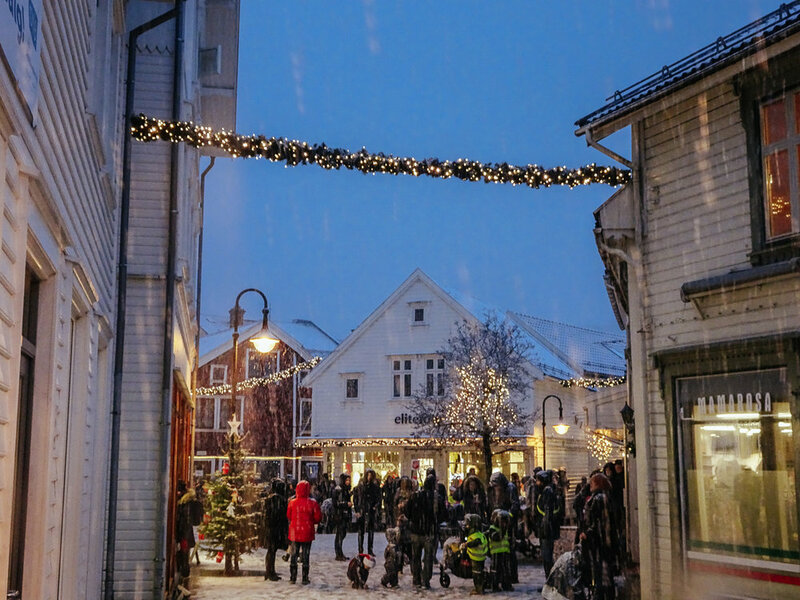 Entrance to both markets are free and while the Trondheim market takes place from Dec 7th to Dec 19th this year, the Røros market is hosted from Dec 6th to Dec 9th, 2018. Read more about Røros and its Christmas market here. I generally seem to avoid Oslo like the plague. Generally, I think that Oslo is the least “authentically Norwegian” city of Norway, meaning that it definitely feels more like any city anywhere else but, in my opinion, lacks a Norwegian feeling about it. But that doesn’t mean that you shouldn’t visit Oslo. In fact, of all the places in Norway to actually spend your Christmas vacation, I’d argue that Oslo is best suited if you’d like to do more than just going skiing and relaxing in front of a fireplace. Seeing that it’s the capital and biggest city of the country, you’ll find a lot more restaurants and attractions here that aren’t closed during the holidays than anywhere else. Plus, Oslo has an abundance of Christmas markets to choose from - most of them coming very close to the traditional German markets, just with a Norwegian touch! For more info, read Silvia’s overview of her favourite Christmas markets in Oslo here! If you’re picturing a ski holiday for Christmas, you might want to steer away from anywhere at the coast and head into the mountains instead. While Norway has mountains and ski resorts pretty much anywhere, the only towns that are actually elevated (and thus, guaranteed to be covered in snow in December) can be found in the middle part of the country, in areas surrounding, for example, Jotunheimen, Hardangervidda and Dovre. The Telemark-region of Norway in particular, but also the regions Oppland and Buskerud, are very popular among Norwegians for skiing holidays, and while traditional holiday cabins might book out quickly, you can always opt to spend the holidays at a resort - at least, that way, you don’t have to worry about Christmas dinner! If you’re in a party mood and would like to welcome the new year in a festive way, Oslo most likely won’t disappoint you! Make sure to book your table/spot at your restaurant/bar of choice (for instance the Radisson Blu Summit Bar for views from above) well in advance, though, as the NYE parties are popular and book out quickly. Also Tromsø offers a very charming fireworks display that is being shot from Mt Storsteinen and can best be seen from the city centre (pro trip: head to Kongsbakken School or Tromsø Maritime School for the best views). Afterwards, there’s always a big party going on at The Edge Hotel (or just stay there all night and watch the fireworks from their sky bar). In Stavanger, there are 6 different firework shows as it is illegal to shoot fireworks privately in the city centre (due to the densely built, old wooden structures). The most special place to watch the show that’s being shot from Madlatua, is the famous Sverd i fjell (Swords in mountain) monument, overlooking scenic Hafrsfjord. Generally, fireworks will be shot all across the country and you can also shoot your own ones - keep in mind, however, that this is only permitted on NYE itself, and, depending on the municipality you’re visiting, only between some time in the evening of Dec 31st (generally around 6 PM) and around 1-2 AM of Jan 1st. Are you thinking about spending christmas or New year’s eve in norway? Leave a comment below and don’t forget to follow along on Instagram (@snowintromso) for more insight into life in Norway and travelling the Nordics! Older PostBeing a tour guide in Norway - Are you ready for the job?